mk1-forum.net • View topic - Watchout Cooper S, Wolseley on the up ! Watchout Cooper S, Wolseley on the up ! 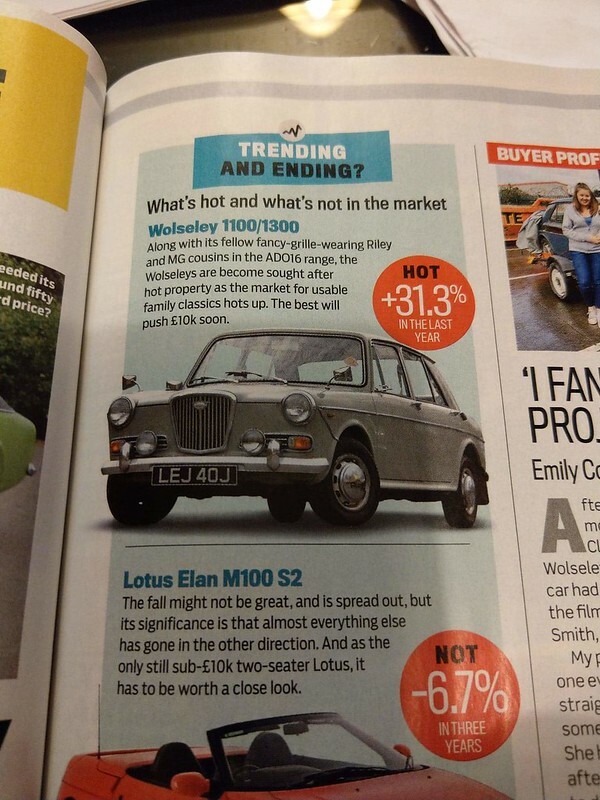 Post subject: Watchout Cooper S, Wolseley on the up ! Post subject: Re: Watchout Cooper S, Wolseley on the up ! But the Wolseley only needs to increase in value by a fiver to go up 100%!!!!!!! "Watchout Cooper S, Wolseley on the up !" I like 'em, but always the bridesmaid......! Didn't know it was an Auto once upon a time, did you fit the GT engine? Did you sell it Ady? I bought it from a guy in London that had left it to rot and the back subframe was removed. I returned it to the road then Sold it to Shaun Beaumont, he sold it last yewar afdter it was stolen and recovered but as far as i am aware its still going strong.